This week one of my favourite colleagues left the company, we have worked together since he joined a project I was on at Media24, and we have recently been on a Data Migration project for a telco project. In honour of his departure a few of us went to La Boheme in Sea Point for dinner. I had never been but had heard good things so I was looking forward to it. It was a beautiful warm evening and we sat outside. They have a wine list, but other than that the menus are all on blackboards- they change the menus frequently while keeping some signature dishes on regular rotation. We ordered a bottle of my fave Professor Black Sauvignon Blanc from The Warwick Estate and studied the board. I didn’t take a snap that evening so I nicked this online. The price is outdated, I think it is now R140 for 2 courses and R160 for 3. A bargain! I chose Eisbein Risotto Balls for my starter. It was really delicious. The risotto balls perfectly crispy, the risotto creamy and soft and with a deep smoky flavour of the Eisbein coming through. It had a pesto dressing which was on the side, I was glad to see that as pesto is not my fave but this was mild and not overwhelming. A nice accompaniment to the rich risotto. It had tangy baby tomatoes and the acidity of them was a nice balance. One of my friends had the grilled halloumi salad, he enjoyed it and it did look delish. For my main I had one of their most popular dishes, the pork belly. It was not too fatty which is one reason I’m hesitant to order it usually, but I love pork. I wasn’t disappointed! It came piled on a huge plate of beautiful, creamy garlic mash with wilted spinach, green beans and shallots and some perfectly cooked bits of crackling. Wow. It was just divine! The crackling was crispy yet not tough, the meat moist but not too fatty, the mash plentiful and they were generous with the sauce. I would recommend this to any pork lover. For dessert I had the creme brûlée which is one of my fave desserts. The topping was hard as it should be, however it was a bit thick for my liking. The creme brûlée was creamy and slightly flavored with vanilla. It wasn’t the best I’ve ever had but it was a perfect consistency. I prefer more custard like flavour than the very ‘cream’ like, but I’m not a cream fan. But I would still give it an 8 out of ten. Several of my friends had the cheesecake and it went down a treat! It was a proper baked cheesecake. My friend who is a diabetic and a Banting fan had the cheese platter, this also looked divine! It had olives and tapenade as well as a wide variety of tidbits. We had a lovely evening and in true bistro style it was noisy, vibey and full of great energy. I didn’t have to worry about being too loud or muzzling my swearing. The next day I felt the Professor thumping behind my eyeballs but I soldiered on 😉. I had an appointment after work with a new therapist called David King who does Body Reactivating Technique. I had never tried it, but I had a moment on Monday when I felt like I might implode from stress. Since Saturday evenings drama I had felt like I was stuck in overdrive. As soon as I made the decision to go for help my friend Emma popped into my head and once she was in there she wouldn’t go away. So I did the footwork (or finger work by messenging her) and asked her for a suggestion of someone to see and she pointed me towards David. He is based in the Wellness Center at the The Watershed at the V & A a light and airy building with various craftsmen offering their wares, food stalls and several health practitioners all sharing the space. While I was waiting for my appointment there was a group of men who sang Ladysmith Black Mambazo style acapella and their voices resonated throughout the building. It was fabulous. The treatment was simple, I lay on the massage bed on my tummy and David poked about. He would then gauge what was needed to balance my body then he came up and pushed, prodded and poked me. I turned over and he did a repeat of the process. He threw in a bit of kinesiology as well. The trigger words were ‘anxiety’ and ‘fear’. Spot on, dude, spot on! David said my adrenal gland was blocked, which could explain the reason for the anxiety. It was quick, maybe half an hour. When I sat up my head spun like I had just gotten off a tilt-a-whirl. I actually felt high. My tensions were gone. I felt so straight and tall. I felt so serene I took a slow stroll around for a bit drinking in the vibe of the waterfront while waiting to get my feet back down to earth and then drove home. I decided to go home round Grainger Bay and I sat gazing at the clouds and the sea as if for the first time. I have never been so relaxed without medication. The next morning I was very stiff and sore but still relaxed. I have another appointment to see David on Monday, this is going to become part of my monthly routine. Last night we had our 2nd Hout Bay Women’s Gin Club meeting. It was held at one of my fave venues The Riverway Cafe which is owned by the clever and talented Julie Ragavelas. True to form she totally wowed us all. There was a table set up with vodka and gins, various mixers and a dispenser filled with homemade lemonade. We chose our poison and paid into the honesty jar for the mixers as the booze was sponsored. There were platters of ostrich carpaccio, Parma ham, grilled chicken breasts, grilled baby Aubergine slices, ripe lucious tomato slices topped with creamy mozzarella, chunks of rich salty feta, various dips, tapenade, hummus, many different cheeses, fruit, breads and all manner of wonders. The little details were just so charming. These little shots of gin and tea cocktails were divine. I felt like Alice down the rabbit hole. There were also some wonderful gin jelly cubes which had been made by Cheyne’s brilliant chef. The Gin Club is not only about alcohol consumption although I certainly consumed a few of those jelly cubes. The purpose is to have a support group of women, with an aim to raise awareness of various local charitable causes and local areas of need. We all grabbed a plate full of food and settled in. I joined a couple of women I didn’t know and then my friends Linda and Lynne joined our table. We then sat listening to a little talk about Chic Mamas Do Care a secondhand clothing charity shop which donates all of their proceeds to local causes. They donated R10,000 to the Moravian School which has over a thousand students and no library at all. This donation has resulted in shelves of books for the children. (As well as actual shelves to store them). Chloe, one of the lovely teachers there gave a talk at last months event but I was late and missed it, but she got us off to a great start as she touched many hearts with her appeal. The staff last night were brilliant. After the talk finished they cranked up the music and danced about. They rotated with jelly cubes, shots, wine and snacks. Eventually there were a handful of die hards left and Julie treated us all to a slice of her amazing melk tart. We all sat outside chatting by candle light. It was such a lovely warm energy full of female comraderie. Just a wonderful night. We all toddled off eventually much to the exhausted Julie’s relief I’m sure. She has set the bar high for these evenings! Next month we are being hosted by Massimo’s in Oakhurst. It’s a very popular venue so I’m sure we will be wowed once again and very spoiled. I’m really happy we have this forum, it can lead to great things in our little village. Because as you know, women can work miracles. Last evening we had another evening of load shedding. For those who are unfamiliar with that term it means that Eskom, our inept parastatal electricity company, is unable to cope with the electrical demand of the country and therefore they turn off areas of the national grid, thereby freeing up electricity for other areas on the grid. It is supposed to be done on a rotational area by zone. This just after we have an announcement that we are to be subjected to yet another price hike. We have had a staggering 22.27% increase in electricity tariffs in just one financial year. The Eskom executives were paid over R11 million in bonuses. What a load of crap. That’s one load that should be shed and many execs have been suspended pending an investigation into why things are in such a dire state. As our village was going to be in the dark we decided to head across Chapman’s Peak to dinner as the electricity was on in Noordhoek. We went to Noordhoek Farm Village as there are several restaurants there so we hoped we could get into one of them without a booking. We were lucky to get a table in our venue of choice, The Toad in the Village. It’s a casual, noisy, vibey pub. The rugby was on and it was rammed, we got almost the only free table. I love their burgers and I ordered the popper burger which is a big juicy burger with chilli poppers, onion rings and fries. It was divine as always. The walls are full of images of classic photos with The Toad subtly (or not so subtly) interjected. If you follow the principle that if there is photographic evidence then it is fact, then The Toad attended Charles and Di’s wedding and was at Nelson Mandela’s inauguration ceremony. We had a lovely evening together chatting and relaxing, then headed home. We stayed up late only going to bed well after midnight. I am a firm believer in the idea that our bodies store memories. I don’t mean in the traditional sense of being able to recall a past event at will, pull it up and relive it, that is of course true and a universal reality. I mean that when we have an event which causes us trauma or stress, that any similar experience can trigger the same physiological response in our bodies. So last night at 2am when I was deep, deep asleep having only been in bed a few hours, I woke to the sound of our house alarm screeching, the dogs going mad and Norm shouting ‘wake up, wake up, get in the panic room. Some one rang the bell, there are 3 people at the gate and they won’t answer the intercom, and they must now be in the garden as the alarm was triggered..’ (We have beams all around the house so anyone activating these beams has violated our perimeter.) My body remembered our armed invasion and the other break in attempts we have had. I was immediately awake and out of bed, Norm was at the window looking out to the street using our radio to call for back up from Watchcon, our local Hout Bay radio response team who are on call 24/7. They route calls to the fire and police departments or the EMTs, and rally the neighborhood watch responders and direct them when help is needed. The house phone rang and I assumed it was our security company ringing in response to the alarm. I grabbed the phone while running across to slam the metal security gate to our bedroom. I screamed hysterically down the phone ‘we have an intruder on our premises please hurry!’ In response I heard a slurred voice saying ‘mom, mom’ and I stopped dead in my tracks. Caitlin was on the phone saying ‘it’s me!’ As she had been staying at Vic for the weekend we were not expecting her home, and as she has keys to the house there should be no reason for ringing the doorbell at 2am or setting off the alarm. Apparently there is one reason. It’s called alcohol. I went over to tap Norm on the shoulder as the noise in the house was incredible. When I told him it was actually Caitlin he sheepishly radioed Watchcon to tell them to call off the security companies and the police. Caitlin found her keys and managed to get herself inside and came upstairs, she was incredibly drunk. She was acting like we were overreacting about having people ring our bell at 2am, then setting off our alarm. We reacted exactly as we should, we activated our security plan, we radioed for help and we locked ourselves up. I am the sort of person who has a gastric response to panic. I could feel our lovely dinner rising and had to sit with my head resting on the loo for an hour before I felt the nausea die down enough to head back to bed. It took ages to get back to sleep. As Norm had to collect people at the airport early this morning I felt for him as neither of us had much sleep. On the other hand Caitlin is still asleep, so I can only hope she wakes to a horrendous hangover to temper my annoyance somewhat. Today is a stunning sunny hot day so I intend to spend the afternoon by the pool. These vastly divergent experiences pretty much sum up what it is like living in Africa. Live life to the fullest, enjoy the highs but be prepared for the lows. There is an old joke that says the reason they call Cape Town ‘The Mother City’ is because it takes 9 months for anything to happen. This is generally true except this week has proven that some things can take off like wildfire. Especially, well, a wildfire. I woke in the middle of the night on Saturday at about 3am, the air in my bedroom was heavy with the scent of burning wood. I was immediately wide awake as I actually thought my house was on fire. I got up and checked my phone for alerts and saw a string of messages on whatsapp from my neighbourhood group chat. There was a huge fire on the mountain. 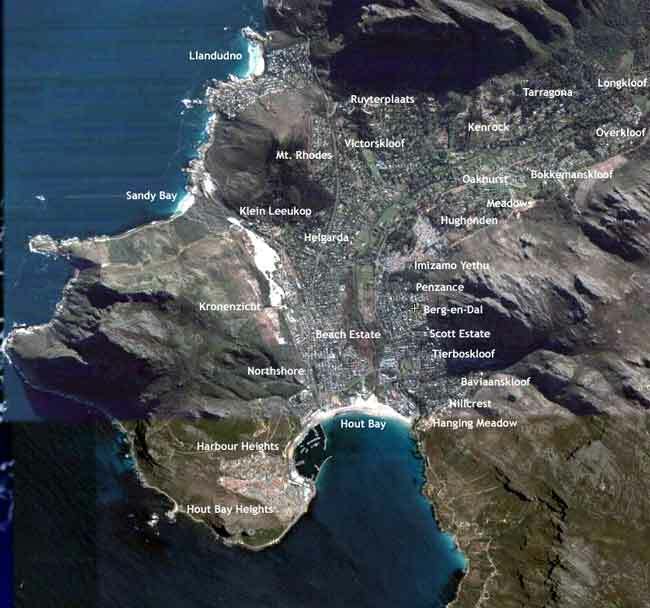 To give you some perspective, Hout Bay is a village by the sea, in a valley which is surrounded by mountains. And this is the fire from a distance, taken from across the bay. 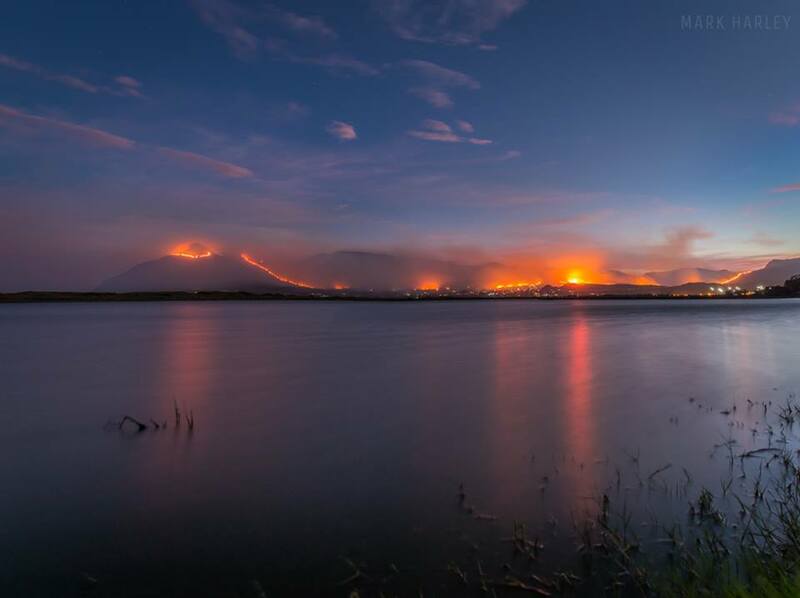 The fire stretched from Hout Bay on the mountain behind the houses down near the beach, all the way across Noordhoek and down to Cape Point. 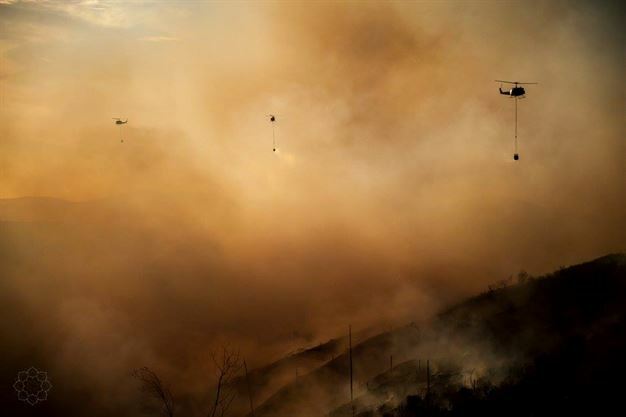 As soon as it was light the choppers and the planes start to water bomb the larger fire spots, flying back and forth to the reservoir or to the sea to fill their buckets over and over, then back to drop it on the fire hoping it hits the mark. The fires raged for days, today has been 1 week since it started and there are still hot spots being found. 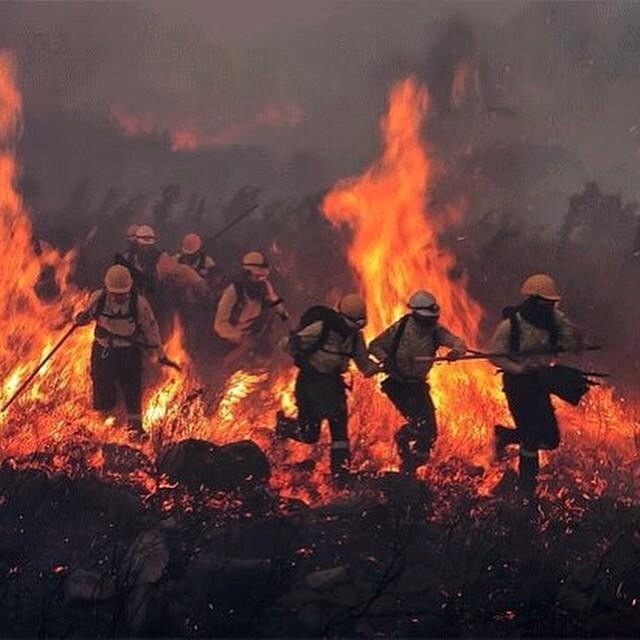 What amazed me was the devotion of these predominately volunteer fire fighters, the men and women who walk through fire for us. In return the public dropped off food, drinks, cooked meals, tins of fruit and other things to provide hydration and quick energy. Such a sense of community was shown. That is the thing I love about Hout Bay, they are a critical, up their own arse bunch of people who, in a crisis, all pull together for the common good, putting their personalities aside and all pitching in to support those in need. On Monday the fire was close, we could see it on the one side and with Norm away I was a bit panicked about my animals as the wind was pumping and I knew the effect that can have on a fire. I decided to work from home. I then heard over the radio that there had been a truck overturned and the road was closed. Apparently the driver had been killed. I then get a hysterical call from my daughter Caitlin as she had just had her bumper ripped off by a stoned Rastafarian driving a taxi. She needed to sort out her car as it was not driveable so she rang and asked me and Lily to drop a car by her so off we trundled, however we were caught up in a roadblock as the road was still closed. 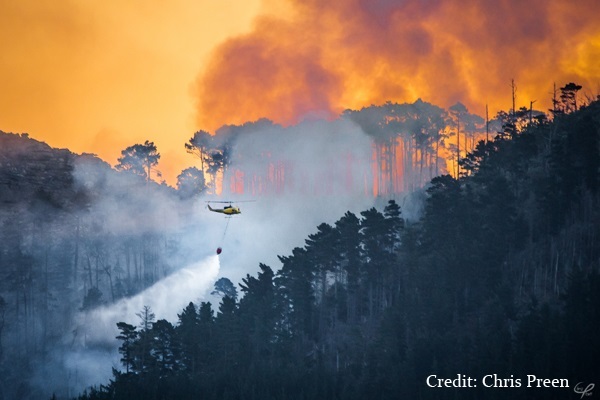 The other impact of living in a valley is we have 3 ways in to us, over the Table mountain and down Constantia Nek (which was closed from the truck crash), in from Chapman’s Peak (which was closed due to the fire) and the coast road which only goes to the city, not to the southern suburbs where Caitlin was. We had to detour and return back home. That was our 3rd crisis. Too many for me. Caitlin managed to sort out a lift with a work colleague who luckily lives just up the road. This is how small a world it is, a woman advertised some university books for sale as her son had graduated and Caitlin nabbed them. She then got a tutor and it turned out to be the son of the woman, and it was his books Caitlin was using. Then she started working at her new job and this guy works there! So Cait is having to work out lifts with Norm and this lad, it is such a pain for them all so hope the car is fixed soon. On the 1st Thursday of the month the city opens all of the galleries for free. Caitlin’s beau Victor was having his first gallery showing. It was full and busy and had a fabulous energy, everyone seemed very intrigued by the art – there was such talent displayed. We stayed for a short time, it was very crowded and hot and there was a queue outside so we wanted to let others have a chance to view. We also had the dogs waiting for their dinner at home so we headed off. As we were in 2 cars Norm went home to see to the dogs and we headed down to the harbour to buy dinner. We bought fresh fish and chips and Cait and I had some peri peri prawns as well. It was delicious. We are so lucky to have such amazing fresh seafood at our finger tips. Last night we had a quiet night in just us 2, Cait was with Vic and Lily has gone back to George to see Josh. Today we wanted to pop down to the market to get a ring repaired by the designer so we headed down after we gave Mzudomo the gardener his lunch. We dropped the ring and went to get some food. 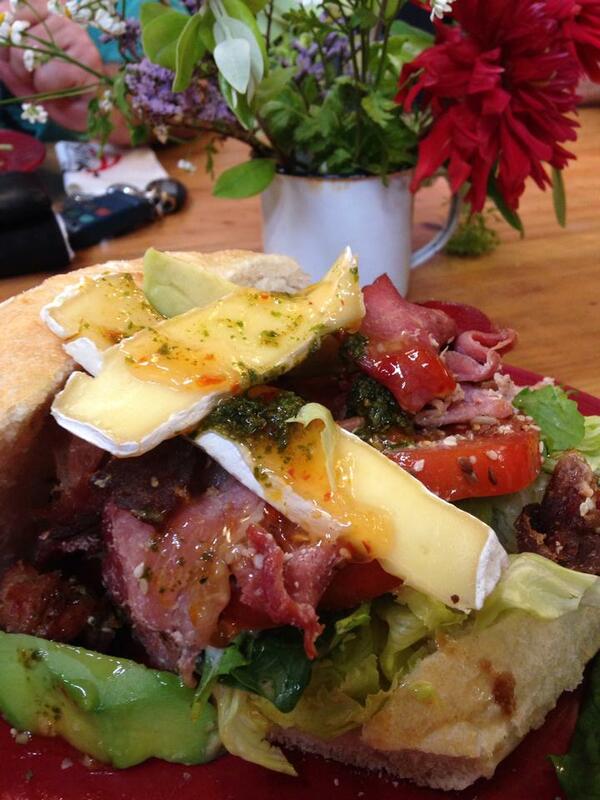 We decided on a bacon, brie and avocado sandwich on ciabatta. Wow it was amazing. 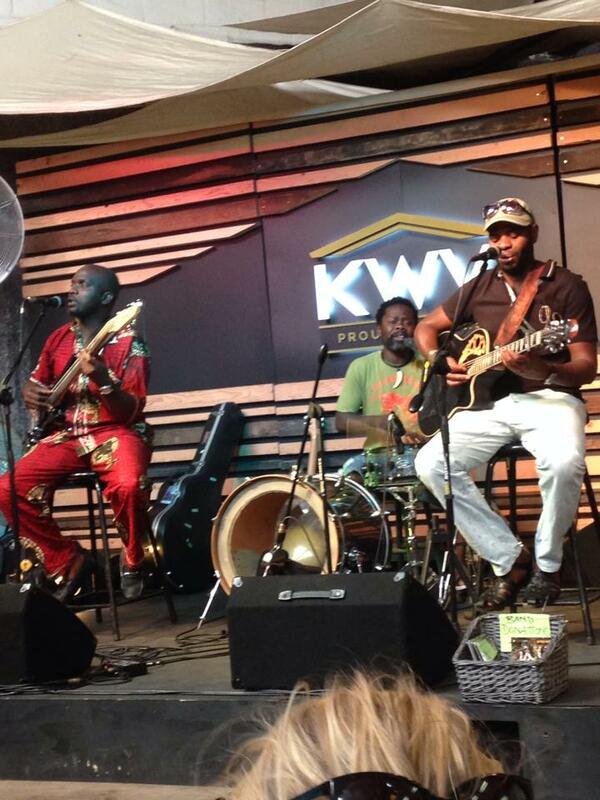 We sat right by the stage and listened to some very cool live music. We then picked up some amazing tarts for later, a lemon meringue for me and a toffee cheesecake for Norm. 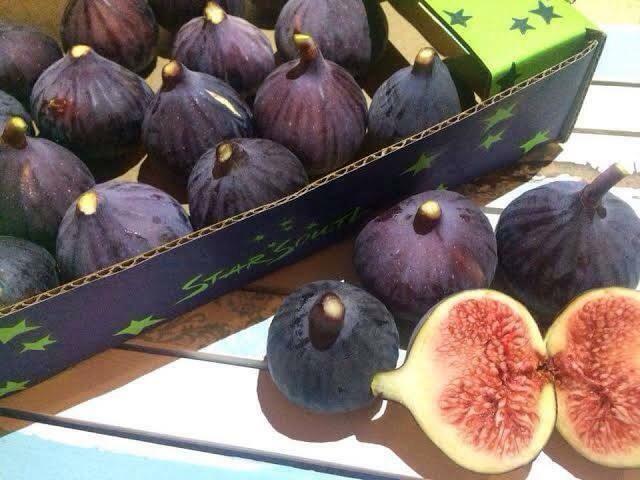 We also bought a gorgeous box of figs. I adore figs, soaked in honey, served with cheese and walnuts, drizzled with a bit of reduced balsamic on a bed of rocket and a touch of cilantro. Heaven. 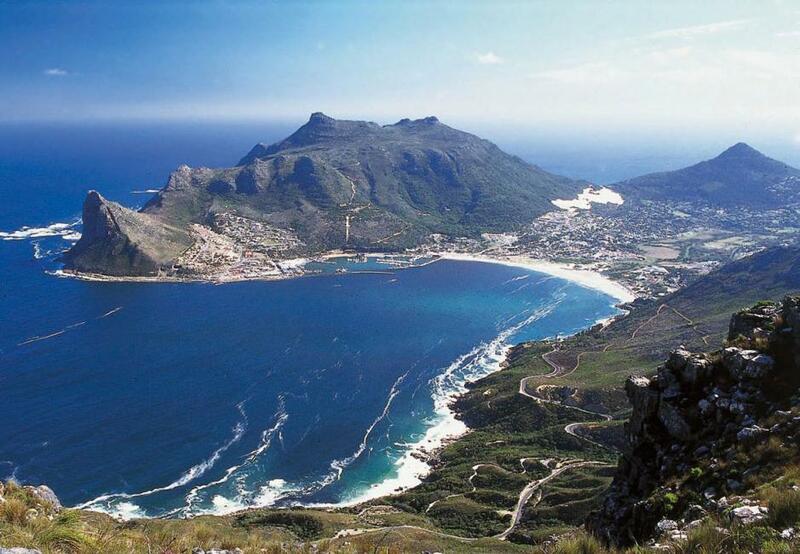 Tonight we will probably pop out somewhere in Hout Bay for a drink and something to eat. it is Saturday after all. Enjoy your weekends people. Photo credits to Mike Harley, Greg Halyard.